Around 2,900 years ago, an ancient Egyptian man, likely in his 20s, passed away after suffering from a rare, cancerlike disease that may also have left him with a type of diabetes. When he died he was mummified, following the procedure of the time. The embalmers removed his brain (through the nose it appears), poured resin-like fluid into his head and pelvis, took out some of his organs and inserted four linen “packets” into his body. At some point the mummy was transferred to the 2,300 year-old sarcophagus of a woman named Kareset, an artifact that is now in the Archaeological Museum in Zagreb, Croatia. The mummy transfer may have been the work of 19th-century antiquity traders keen on selling Kareset's coffin but wanting to have a mummy inside to raise the price. Until now, scientists had assumed a female mummy was inside the Egyptian coffin. The new research reveals not only that the body does not belong to Kareset, but the male mummy inside was sick. There is an area out in the desert behind the Step Pyramid where the Sakkara Antiquities people dump their dig debris. This is an interesting place to ride as there are bits of ancient mudbrick, old bones, bits of pottery and so on. However, lately they have also been dumping basic garbage out there and that is NOT ok. Thanks to Amigos de la Egiptologia for this link. La excavación aporta datos hasta ahora desconocidos de este personaje, como que la tumba podría haberse utilizado “como un lugar sagrado donde se conmemoraba la memoria del visir”. La tercera y última de las jornadas de Egiptología organizadas por la Fundación Gaselec y que se han venido celebrando desde el pasado miércoles dejaron entrever la posibilidad de que parte de la historia de una época muy concreta pueda sufrir grandes cambios. Así al menos lo expresó el conferenciante de ayer, Francisco Martín-Valentín, quien junto a Teresa Bedman dirigen la campaña de excavaciones en la tumba nº 28 de Asasif (Luxor Occidental), correspondiente al visir Amen-Hotep Huy. Following the very successful seminar on scribes and writing surfaces, 'Inside the Mind of the Scribe' at Doughty Mews on 14 April 2012, we are delighted to be able to provide links to a number of online resources to support research into the topics discussed in the seminar. Prof. Tait referred to an article of Jac. J. Janssen's, 'On Style in Egyptian Handwriting', which was published in the JEA (vol 73, 1987). The article is available via JSTOR to those members who subscribe: http://goo.gl/z9bVP. Long considered a primary research source for palaeographic studies, this article outlines how a single, common word (the late Egyptian pA, 'the') can be used to distinguish between scribal hands. Dr Obbink introduced the Ancient Lives project, http://ancientlives.org/, which is a crowd-sourcing enterprise, allowing members of the public to transcribe Oxyrhynchus Papyri fragments, and submit them to the professional translators for batch processing and translation. How DID they build the pyramids…? Manchester Museum has a unique collection of objects connected with pyramid building. Many everyday tools have survived from a settlement specially-planned to house workers who built the pyramid of King Senwosret II (c. 1880-1874 BC). In ancient times the town was called Hetep-Senwosret (‘Senwosret-is-pleased’ or ‘Senwosret-is-satisfied’). Today the town is known as Kahun, the name given to it by the site’s excavator W.M.F. Petrie (1853-1942 AD) after hearing the name from a local man. The whole site, including the king’s pyramid, its associated temples and other tombs, is more commonly called Lahun. It is situated at the eastern edge of the Faiyum region – an area of major building works in the Middle Kingdom (c. 2055-1650 BC). The pyramid was built upon a natural outcrop of limestone, of over 12 metres in height. An internal framework of limestone walls was built to form a structural skeleton. The Lady Tentdinebu reclines in a corner room of the National Museum of Ireland in Dublin. Her brilliantly coloured encasement tells us she once lived in ancient Egypt. When she died around 800 BC in Thebes, her body was preserved for the afterlife. Today you can admire the texts and religious imagery decorating her mummified body. Such mummies are providing modern science with a view into their ancient world. Modern imaging techniques allowed experts to suggest famed Tutankhamun died of malaria (about 1,324 BC). And medical scans show diseases such as atherosclerosis (hardening of the arteries) were common among ancient Egyptians; even cancer has been detected. The National Museum of Scotland in Edinburgh is running a special exhibition, Fascinating Mummies, until May 27th, which focuses on what scientists today can tell us about ancient Egypt. This is a fine example of a rare type of stela, made to honour the ‘effective spirits of Re’ (Akhw iqr n Ra). Only around 60 are known, and these date exclusively to the later New Kingdom (c. 1295-1069 BC). This limestone example is 29cms in height and was found by W.M.F. Petrie in the first court of the mortuary temple of Merenptah (c. 1213-1203 BC) on the Theban west bank. The text above the main figure (and recipient of the offerings) reads: "The effective spirit of Re, Ptah-hesy, justified"
Egyptology and antiquity fans won't want to miss this displayed collection of precious treasures in Paris. A jewel-box mansion in the middle of Paris holds a surprising exhibition that brings together, for the first time ever, precious treasures from the last period of the Egyptian Pharaonic dynasties. It was here we met visiting Americans cruising through Paris on the Seine [available with Viking River Cruises, AmaWaterways and CroisiEurope, to name a few]. They used a tour day in Paris to visit the exhibition. “The Twilight of the Pharaohs, Masterpieces from the last Egyptian Dynasties”, is an assortment of the world’s finest sculptures, reliefs, sarcophagi, death masks, items of worship and jewelry from tombs and temples. It also refutes the previously accepted academic assumption that there was a decline in the artistic output at the end of the Egyptian Pharaonic dynasties. Thanks to Chuck Jones and his Ancient World Online blog for this link. Ian S. Moyer, Egypt and the Limits of Hellenism. Cambridge; New York: Cambridge University Press, 2011. “O Egypt, Egypt, of your pious deeds only stories will survive, and they will be incredible to your children.” Ian Moyer’s book is a first-rate analysis of the relationship between Egypt and Hellenism; it moves significantly beyond the historical positivism, the binary framework of Greek/barbarian, and the colonialist assumptions of older scholarship. Moyer considers four sources closely—Herodotus, Manetho, the Delian Sarapis aretalogy, and Thessalus (who composed a treatise De virtutibus herbarumin the first or second century CE)—to each of which he devotes a chapter. The book is ostensibly about meetings between Greeks and Egyptian priests, the latter group typified by the figure who looks “mysterious and austere, dressed in white linen, head shaved, wise in the ways of magic and divination… known since Herodotus as a fount of ancient wisdom”. But the device is a launching-point for a series of investigations into the encounters of Egyptians and Greeks over many centuries. Moyer is a learned and skilled reader of the texts, and there is much to hail in the publication of this erudite, sophisticated, and thoughtful volume. Moyer is sensitive to the history of scholarship on his topic and he elucidates its politics with acuity, but is nonetheless wary, and weary, of talking about Black Athena; his own book tries to shift discussion away from questions of influence to interaction. 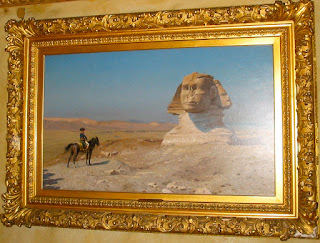 Thanks to Angel for posting a link to this from her Collecting Egypt blog. Tutankhamen: The Search for an Egyptian King by Joyce Tyldesley. When Howard Carter opened the tomb of the boy pharaoh Tutankhamen in 1922 he found a series of chambers piled high with “wonderful things.” For nerds of a certain age, this is a story we’ve heard many times before. King Tut was a part of our lives from childhood. On the list of “Dead Things Small Children Get Really Excited About”, he ranks just below dinosaurs and just above Pompeii. By the time we reached junior high, we had explored the Valley of the Kings through diagrams in National Geographic, catalogued Tut’s treasures in the pages of glossy DK picture books, and watched innumerable actors recreate Carter’s day of discovery on TV documentaries. Given all that you already know about the Tutankhamen story, why should you bother reading Joyce Tyldesley’s new book Tutankhamen: The Search for an Egyptian King? Because Tyldesley asks (and answers) questions those old familiar sources seldom bothered with. Her book takes a popular kid’s history and fleshes it out with grown-up levels of depth and context. For instance: Why exactly was King Tut buried with all those grave goods to begin with? The answer isn’t as simple as you might suspect. Right from the start of this pocket sized book by Harry Powers the author appears to be a bit of a pessimist as his journey takes him to Egypt for of Madeira the author says " the thoughtful traveller will view Madeira with mingled feelings. The shadows in the picture are due less to depravity (largely imported) than to sheer backwardness." Our guide goes on to say of Monte Carlo "It used to hide its depravity under a certain tone and elegance." 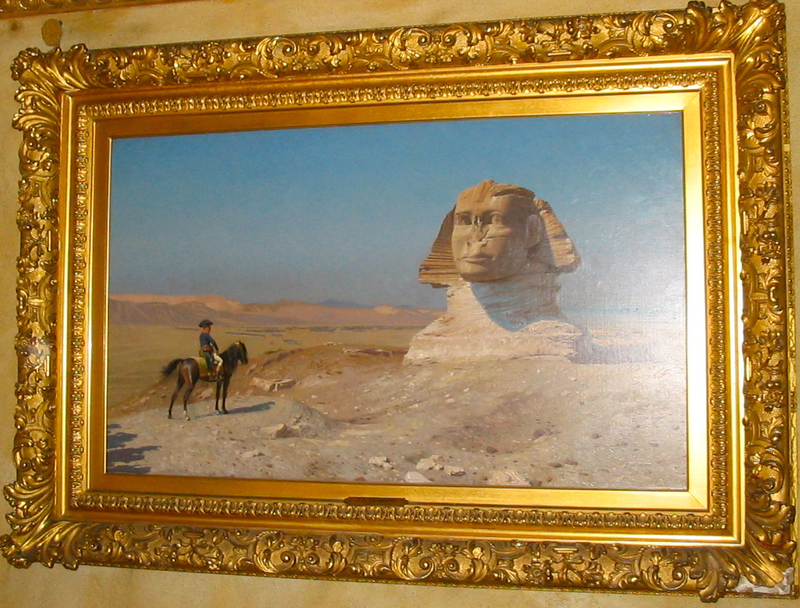 Having at last arrived in Egypt our friend Harry begins describing the things to see including Pompey's pillar of which he says "a huge and meaningless shaft of uncertain origin concerning which little is known except that it had nothing to do with Pompey." After a "monotonous" but interesting journey to Cairo our friend tours various mosques and provides some very interesting descriptions of a few of the most important but also points out the shoddy construction and dilapidated conditions of the buildings. The cherubic-faced baby sits frozen in eternal repose, arms crossed on its knees, trimmed hair, tiny fingernails and a small amulet around its neck. Researchers don't know the infant's gender, but they believe the baby's battle for life ended at 10 months old from a heart defect. But this infant is much older than that — it's 6,420 years old to be exact. The child is a mummified corpse from Peru known as the "Detmold Child." It's 1,000 years older than the earliest known Egyptian mummy and predates King Tut by more than 3,000 years. The Detmold Child is on display at "Mummies of the World, The Exhibition," which opens today and continues through Sept. 9, at Tampa's Museum of Science and Industry. Interesting insight into how some museums are trying to provide more information for visitors about exhibits. In Shelley’s previous post, she announced the installation of QR codes installed in exhibitions that lead visitors to Wikipedia articles for further information. These QR codes are now found in Egypt Reborn and the Hagop Kevorkian Gallery of Ancient Near Eastern Art, both on the third floor of the Museum. As a curator I have always wanted our visitors to have access to more information about the collection than is usually available. I’ve long been frustrated that the 100-word label provides only the briefest introduction to an object. So when Shelley suggested that there was a way to bring in-depth information into the gallery for those who want it, I was happy to help find appropriate material. For example, the code on the label for the Museum’s statue of Senwosret III will take you to an article about the king’s reign. Trivia, but quite a nice story. The statue of Ramesses the Great, which stood tall in front of the Pyramid for 13 years, is now greeting students on The University of Memphis campus. The statue, a replica of the Ramesses the Great statue from Egypt, was placed on the edge of campus facing the Central parking lot Monday. Students took pictures of the statue as they walked past, and drivers took advantage of red lights, as they got a quick look of the new addition on campus. Cleopatra's twin babies now have a face. An Italian Egyptologist has rediscovered a sculpture of Alexander Helios and Cleopatra Selene, the offspring of Mark Antony and Cleopatra VII, at the Egyptian museum in Cairo. Discovered in 1918 near the temple of Dendera on the west bank of the Nile, the sandstone statue was acquired by the Egyptian Museum in Cairo but has remained largely overlooked. The back of the the 33-foot sculpture, catalogued as JE 46278 at the Egyptian museum, features some engraved stars -- likely indicating that the stone was originally part of a ceiling. Overall, the rest of the statue appears to be quite unusual. "It shows two naked children, one male and one female, of identical size standing within the coils of two snakes. Each figure has an arm over the other’s shoulder,‭ ‬while the other hand grasps a serpent," Giuseppina Capriotti, an Egyptologist at the Italy's National Research Council, told Discovery News. WHEN visiting British Museum curator John Taylor asked to inspect Queensland Museum's collection of ancient Egyptian artefacts, he did not expect to stumble upon a long-lost section of the burial scroll of one of the civilisation's greatest builders. The world-renowned Egyptologist, in Brisbane for the opening this week of a touring exhibition of mummies from his museum, was poring over a display case of antiquities when his eye was drawn to a shred of papyrus bearing the distinctive hieroglyphs of Amenhotep, a chief builder in the 15th century BC, whose burial scroll, known as a "Book of the Dead", was scattered across the globe in the 1890s. Intrigued by the fragment, donated in 1913 by an unknown woman, Dr Taylor asked whether there were any more pieces in the museum's dungeons. "When I was brought into the conservation lab to see them, after a very short period of time it became apparent that we did indeed have many fragments of the Book of the Dead of this extremely important man," Dr Taylor said yesterday. "This is not the papyrus of just anybody - this is one of the top officials in Egypt at the peak of Egyptian prosperity." A big archaeological slab dating back to the era of Ramesses III, the most famous king of the Dynasty 20 (The Modern State era) was found. The slab shows Ramesses III while providing sacrifices and offerings to the god Amon Ra, the god of the country and the Egyptian empire at the time. Behind him as shown in the slab, stands his famous wife goddess Amont while wearing her famous crown. With a slideshow of some of the arteacts. How did a Brooklyn man smuggle enough Egyptian artifacts into the U.S. to open a small museum? Mostly by lying on customs forms. On Wednesday the New York antiques dealer Mousa Khouli (aka Morris Khouli), 38, pleaded guilty to smuggling Egyptian artifacts into the country at a Brooklyn courthouse, including an ancient sarcophagus in Greco-Roman style, a three-part nesting coffin that once contained an ancient Egyptian named "Shesepamuntayesher," a set of funerary boats, and limestone figures. Khouli could face as much as 20 years in federal prison. An antiques dealer pleaded guilty on Wednesday to smuggling ancient Egyptian treasures, including a coffin, to the United States. Mousa Khouli, also known as Morris Khouli, aged 38, faces up to 20 years of prison for “smuggling Egyptian cultural property into the United States and making a false statement to law enforcement authorities,” the federal prosecutor's office in New York said. Rare Egyptian artifact dates back to the 13th century B.C.E., the era when some scholars speculate the Exodus may have occurred • Scarab bears name, in Egyptian writing, of the sun god Amon-Ra, one of Egypt's most important deities. Just in time for Passover, Israeli archaeologists have found a rare Egyptian artifact in Jerusalem. An Egyptian scarab, dating back to the 13th century B.C.E. (the era when some scholars speculate the Exodus may have occurred) was uncovered on Thursday at an excavation sponsored by the Israel Antiquities Authority at the City of David National Park. Kheops: "The extraordinary preservation of the colors in the reliefs is one of the most attractive features of the chapel. ..... A publication of the chapel in color photography would be extremely welcome". This mastaba of Giza, in which Meresankh had been buried, is also a witness to the importance acquired by the women of the royal family of the IVth Dynasty, in particular of the mother of Meresankh, queen Hetepheres II. This mastaba tomb of Meresankh III can be found on OsirisNet, with complete photographic coverage. On Monday the statue of Ramesses II will be moved from the front of The Pyramid to the University of Memphis campus. The process will begin at 8 a.m. and will take several hours to remove it from the base and secure it on a flat-bed truck. Once on the road, they'll travel at about 30 miles an hour to the U of M, arriving by late morning or early afternoon. It will be installed off Central Avenue between the theater and the music buildings. Portions of Central will blocked as the statue is placed, secured and leveled, said Ken Mulvany, the university's landscape architect. "It will basically be an all-day process," Mulvany said. "There will be a slow cavalcade." After decades hidden on the shelves of the library of the Antiquities Documentation Centre, a genuine copy of La Description de L’Egypte is now being restored. Today the Ministry of State for Antiquities (MSA) transported the volume to the state-of-the-art labs of the planned Grand Egyptian Museum (GEM) where it will be meticulously cleaned. MSA Minister Mohamed Ibrahim explained that the book has been damaged by insects and that some of its pages are tainted. Hussein Abdel Bassir, GEM supervisor, told Ahram Online that restorers are now examining the book and its hardcover in order to select the best method of clean and preserving it and the contents therein. He added that the restoration will take at least a year, as the book is in very bad condition. The bull’s head is tiny, napped from a flint core 5,650 years ago, but its horns make a beautifully sweet curve to point at one another with uncanny precision, like two curved knives. It’s astounding that it has survived so long intact, but it’s also pretty marvelous that anyone was able to chip it, with another stone, so exactly. The bull’s head goes back more than halfway to the beginning of civilization, closer to the folks painting aurochs on cave walls than to, say, Michelangelo. And you don’t see many art exhibitions that go that far back — in fact, the “Dawn of Egyptian Art” at the Metropolitan Museum is one of the few shows in New York that ever has. And yet even that long ago, art is already art, transforming everyday objects into symbols and artificially creating beauty. One of the most common decorated objects in this show are the flat greywacke stones used to mix cosmetics in every era. Most of the 190 objects here are small, made of hard stone like flint or greywacke, or from ceramic, ivory or wood. Crépuscule des pharaons, chefs d'oeuvre des dernières dynasties égyptiennes, Musée Jacquemart-André, Paris, until 23 July 2012. Following the end of the ancient Egyptian New Kingdom in around 1000 BCE, Egypt entered a long "late period," book-ended by the arrival of Alexander the Great in 332 BCE, during which dynasties rose and fell with bewildering frequency. Political fragmentation and various foreign invasions only exacerbated centuries of decline. Few of the sort of magnificent temples that had marked the apogee of ancient Egyptian civilisation during the previous New Kingdom were built, and while the country's characteristic political and religious organisation was in the main preserved, the pharaohs that ruled Egypt during the centuries of its decline are on the whole rather anonymous figures, not leaving painted tombs behind them like those on the West Bank of the Nile at Luxor and often ruling for short periods and over only parts of the country. However, as a current exhibition at the musée Jacquemart-André in Paris reveals, the thousand years or so of ancient Egypt's late period also gave rise to a late style, notably of characteristic ancient Egyptian forms of art such as sculpture, which introduced many intriguing new innovations while continuing in the traditions laid down by the ancestors of the period's artists and artisans. Centuries of history are scattered throughout Alexandria’s streets, but many of its greatest treasures are buried beneath them, or are submerged underwater. While a vivid imagination is needed to appreciate the city’s former glory, there are still plenty of physical sites on offer to whet the appetite. Alexandria deserves to have more than just one day dedicated to exploring its history and charms, but a fleeting visit is certainly possible. The main train station is a great place to start, especially for those making their way from Cairo on an early morning train. Tickets for the 2.5 hour journey should cost between 25-52 LE depending on the type of train and class of carriage. A short walk from the station leads to the marble-terraced Roman Amphitheatre which was built in the 2nd Century AD and is a one-of-a-kind in Egypt. It was discovered while building the foundations for apartment buildings, and there are still excavations being made. Another article about the Nefertiti bust dispute. A century has passed since the bust of Nefertiti was discovered in Tel Al-Amarna, near Minya. Eleven years after the discovery a debate over its legitimate ownership erupted, and that debate is still going on. The Germans say that they acquired it legally, whereas the Egyptians maintain that the legalities were fraught with foul play. Since the Nefertiti bust went into display in Berlin in 1923, researchers and politicians have been arguing about the manner in which this exquisite piece of ancient art left Egypt, and the possible duplicitous involvement in its acquisition by the Germans. For many people, the Nefertiti bust is the cause celebre for all the stolen treasures of antiquity, for all the invaluable pieces of art that crossed borders in dubious circumstances, and for the numerous campaigns made for their restitution to their places of origin. As the world-weary preacher in Ecclesiastes tells us, “Of making many books there is no end”, and there are times when this rings true. Books on ancient Egypt are no exception to this rule, and a new title seems to appear every month. But there are some titles that give the lie to the old cynic of the Bible. In each of these three new books Egyptology is in good hands, and so is the reader. The subject has great popular appeal, and because of this professionals in other branches of archaeology sometimes distrust it. Here are three reasons for them to feel that this is something worth studying. It is more than 50 years since Alan Moorehead wrote The White Nile, his magisterial study of efforts to find the source of the great river that rises in the lakes of central Africa and flows down through the swamps of southern Sudan to bring life to the cotton fields of Egypt, before reaching the Mediterranean. Having written biographies of David Livingstone and Henry Morton Stanley, two of the quintet of great Victorian explorers of the Nile (the others being John Hanning Speke, Richard Burton and Samuel Baker), Tim Jeal is well placed to bring this story up to date. While mindful of some of the absurdities and cruelties of their missions, Jeal is refreshingly sympathetic to the anti-slavery ideals of men such as Livingstone, as well as to the old-fashioned romanticism of Burton and Speke – before such qualities were overtaken by more political and commercial considerations in the age of late Victorian imperialism. An archaeological committee from the Ministry of State for Antiquities (MSA) embarked today on an inspection tour at the El-Hibeh archaeological site in Beni Suef, as well as other sites that were subjected to looting after the 2011 revolution. Abdel-Hamid Maarouf, head of the ancient Egyptian antiquities department and head of the committee, told Ahram Online that the tour includes the El-Hibeh and Ehnasia sites in Beni Suef and Dahshour in Giza. The committee aims to check the losses as well as tighten security measures at the sites. On 25 March, Ahram Online published an article about a new Facebook page launched by well-known American archeologist Carol Redmount, which aimed to rescue the El-Hibeh archaeological site. 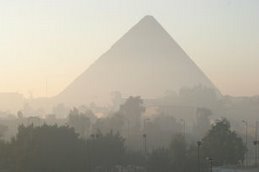 The site is considered to be crucial for understanding ancient Egyptian history, as it is the least disturbed city mound from the third intermediate period (1070BC - 664BC). Two thousand years ago, an Egyptian purchased a mummified kitten from a breeder, to offer as a sacrifice to the goddess Bastet, new research suggests. Between about 332 B.C. and 30 B.C. in Egypt, cats were bred near temples specifically to be mummified and used as offerings. The cat mummy came from the Egyptian Collection of the National Archeological Museum in Parma, Italy. It was bought by the museum in the 18th century from a collector. Because of how the museum acquired it, there's no documentation about where the mummy came from. The cat mummies from this period are common, especially kittens. "Kittens, aged 2 to 4 months old, were sacrificed in huge numbers, because they were more suitable for mummification," the authors write in the paper, published in the April 2012 issue of the Journal of Feline Medicine and Surgery. The researchers did a radiograph — similar to an X-ray — of the mummy, to see under the wrappings, finding the small cat was actually a kitten, only about 5 or 6 months old. "The fact that the cat was young suggests that it was one of those bred specifically for mummification," study researcher Giacomo Gnudi, a professor at the University of Parma, said in a statement. After six months of feasibility studies, the library at St. Catherine's Monastery in the southern Sinai Peninsula will be restored and developed to meet international standards. According to Minister of State for Antiquities Mohamed Ibrahim, the project will be implemented in two phases and will include the restoration of the library's eastern and western sections. The library contains some 3,500 manuscripts in the Greco-Roman, Coptic, Arabic, Hebrew, Georgian, Syrian, Armenian and Udi languages, as well as numerous rare icons and other liturgical objects. It also houses a collection of decrees and regulations issued by the Muslim Caliph of the time, intended to ensure the security of the monastery's Christian population. The restoration project is being financed by the monastery and carried out under the supervision of the Ministry of State for Antiquities (MSA). Today it's our turn, Rosa and Mark, to write the diary. For the last two weeks, we have been working on the southern looted tombs, sifting through the spoil left behind by the looters in order to recover human remains and any other associated funerary artefacts that they left behind. In this case, it was plenty of the former, but not so much of the latter. Although within two hours of starting work we had recovered a painted shroud complete with hieroglyphs - not bad for the first day! (More on that later, post SCA report). There were two main looted tombs, but the remnants of the looting had been spread over a much wider area, and every time we looked in a new area we found more human remains. Despite this, we painstakingly sieved our way through all of the spoil and recovered both intact and fragmented bones, including two complete skulls and several leg bones. However, we always seemed to be finding the left leg bones, which could lead to some interesting reconstructions. Part of the fun of working with the human remains was trying to explain to the workmen, as well as our Egyptian colleagues, where each bone we found was situated in the body. “Small beer – a very little diary account, full of odd doings and happenings”. Archaeological surveyors are, by their very nature, the watchers within any expedition. A surveyor with ethnographic interests and access to a camera is a troublesome sort indeed. Snatches of time between recording the location of small finds, providing heights for the excavation trenches and mapping the distribution of tombs in the southern part of the site, afforded moments to observe the GHPP team at work; long, lonely walks to the peripheries of the site, scouting out possible locations for new control points, the perfect space in which to consider the quirks of our little GHPP sub-culture. The 1st of April was notable not only for being Ole’s birthday and the day on which the site was accosted by the sandstorm, but also for the unofficial arrival of unofficial visitors - people we had not encountered on the site before. Strangers! Before lunch, when the weather was vexing us with sporadic sandstormlings, I spotted at the western edge of our site a pristine white 4 x 4, the condition of which immediately alerted me that these were not archaeologists. A few seconds later figures emerged from the vehicle; my spidey surveying senses tingled. At a good distance away my eyes could make out two GPS antennae: one mounted on a handheld antenna, the other on the roof of the car. There is nothing quite like spotting other surveyors in the field to make one excitable – particularly ones working in Egypt, with super-awesome geomatic kit. Minufiyeh - Closing up and up up and away! After a full day off writing reports, packing and washing on Friday, The time came once again to close up the site on Saturday 7th and prepare to head to our various homes. On Saturday morning we headed up to Quesna a little earlier than usual to leave ourselves plenty of time for re-organising our storage magazine. There were still boxes to be moved, final finds to be registered and then the official closing of the season! Photographs were also taken, including those of the just completed ceramic coffins! We were lucky to have a couple of our workers with us once again to help move everything!Everything was completed by 11.30am and we then headed down to Quesna railway station to see Tass and Am Yasseen off - Tass to Cairo and Am Yasseen back to Quft. With photo of the disputed mask. US District Judge Henry Autry in St Louis sided with the museum. The US government “does not provide a factual statement of theft, smuggling or clandestine importation,” Autry wrote in the 31 March ruling. Thanks to Brian Alm and Barbara O'Neill for the links to this excellent review of the "The Dawn of Egyptian Art" (Exhibition at the Metropolitan Museum), with a 12 picture slideshow. In many ways the art of dynastic Egypt brought nature to a standstill, freezing the figure in an elegant, quietly pulsing suspended animation. Especially in its grandest, most monumental expression — the eerie, somnolent statues of the gods and of the pharaohs who were their earthly junior-god emissaries — Egypt offers us the sleekest, longest-running style in the history of art. It is also probably as instantly recognizable and firmly imprinted on human consciousness as any we know. This style’s consistency is, if you think about it, frightening. It bespeaks an authoritarian power that was consolidated under the first Pharaoh around 3100 B.C., and that, despite political ups and downs, maintained a firm grip on the country’s aesthetic program for nearly three millenniums. The duration of Egyptian art may dull curiosity about how it began, since it is hard imagining a time when it didn’t exist. But of course everything starts somewhere: the high Egyptian style did not spring fully formed from the forehead of Osiris, god of the afterlife. This is demonstrated by “The Dawn of Egyptian Art,” a sublime, view-shifting exhibition at the Metropolitan Museum of Art dominated foremost by small, startlingly personable sculptures and vessels from around 3900 to 2649 B.C. The show’s around 190 objects include animal sculptures and figures carved in wood, ivory and stone or modeled in clay; ceramic vessels painted with boats and their regal occupants. 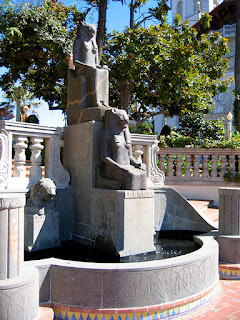 Among the celebrated masterpieces of the collection are the Cartonage belonging to the Lady of the House of Djed-Montu-iues-anj (XXII dynasty); the partially reproduced Tomb of Nakht, the Scribe-Astronomer of Amun (XVIII dynasty) and the painted funerary masks (from the first century BC). Under the title "Fashion and Beauty in Ancient Egypt" the current temporary exhibition includes pieces from museums in Bologna, Turin, Florence and Lyon. Elvira D’Amicone, the exhibition’s curator, sure has a good sense of gender balance: not only is women’s fashion on show, but also that of men and even infants. The 4500 year-old sandals of a young kid attest to ancient Egyptian artisanship. The sandals, discovered near Luxor, were preserved for his afterlife. At another corner of the exhibition hall, one comes face-to-face with a very rare example of Pharaonic fashion; absolutely one of a kind - or, to be precise, one of twenty such pieces worldwide). A spectacular dress made of beads in a fishnet pattern. The level of Nile water has been measured for 5000 years to predict farming production. This current Nilometer, or Miqias in Arabic, on the southern tip of Roda Island dates back to 715 AD making it one of Cairo’s oldest sites in relatively good shape but also it is the second oldest building by the Ummayyads (Arab/Muslim) dynasty. The Nilometer is essentially a measuring device, one big enough to be entered to occupy its interior space. The device consists of a central column with measuring markings of cubits (roughly the size of a forearm) and smaller units which are roughly the width of a finger. Although the original structure was restored in 815 AD it was destroyed in 850 AD by a flood. This has resulted in the addition of several chambers for the water to enter through before making it to the measuring hall (this would slow down the force of the water so that it isn’t destructive). Another addition to the structure following its 850 destruction was a carved wooden beam that supports the top of the column which had been free standing. Also a column capital was added. The current incarnation of the Nilometer was designed by Abu’l ‘Abbas Ahmad ibn Muhammad ibn Kathir al-Farqhani from Farghana, known in the West as the astronomer Alfraganus. Video. 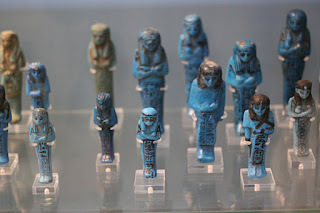 Thanks to the Collecting Egypt blog for this link. I really must visit! The Ashmolean Museum in Oxford has opened six spectacular new galleries for its world-renowned Egyptian collections, exhibiting objects that have been in storage since the Second World War, and more than doubling the number of mummies and coffins on display. 40,000 artefacts collected over 300 years, from over 100 archaelogical sites, have been rehoused including collections by Sir William Petrie. Various sculptures, including limestone statues of the fertility god Min which date to 3300 BC, and a fantastic collection of mummies and coffins. Slideshow with Spanish narration, 7 minutes long. El Templo de Dendur es un templo nubio que fue construido por Petronio, gobernador romano de Egipto alrededor del año 15 a.C y dedicado a Isis, Osiris, así como dos hijos de un jefe deificado Nubio, Pediese y Pihor. El templo fue encargado por el emperador Augusto de Roma. Este templo fue desmantelado en 1963, siendo regalado con posterioridad a los Estados Unidos por el gobierno egipcio, como agradecimiento por la participación en el proyecto de salvamento de los monumentos nubios, debido a la construcción de la gran presa de Asuán. En la actualidad se encuentra completamente reconstruído y se puede contemplar en el Metropolitan Museum of Art de Nueva York. With many thanks to Patrick F. Houlihan for sending this to me. 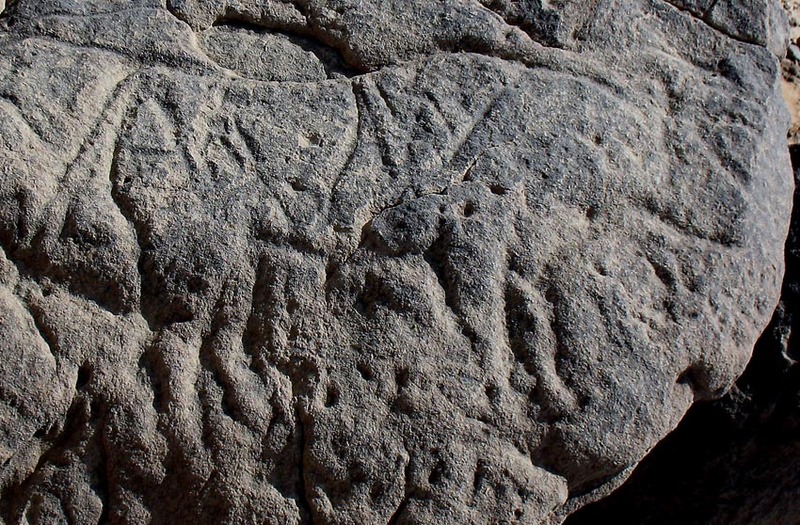 Palaeolithic rock art on the verge of destruction. Per Stormyr of the excellent Quarryscapes project sent me this article, and it is yet another vile piece of news from Egypt about the destruction of heritage. Please share, forward and otherwise publicize this story. In 2007 one of the most important recent archaeological discoveries in Egypt were made in Wadi (Chor) Abu Subeira near Aswan: A team led by Adel Kelany of the Supreme Council of Antiquities (SCA) found a stunning assemblage of petroglyphs dating to the Late Palaeolithic era (c. 15-20.000 years ago). Ongoing surveys have shown that the initial find was the tip of the iceberg only, which makes Subeira perhaps the richest place of “Ice-Age” art in North Africa, comparable to the site of Qurta, 50 km to the north. Unfortunately, the Subeira rock art is extremely threatened by modern mining, which lately has proven to be even more widespread than previously thought: A truly unique testimony of mankind’s early art is now on the verge of destruction. The present study aims to identify and to characterize the main deterioration mechanisms that affect the wall reliefs of Dendera temple, Upper Egypt. The temple is famous for its beautiful wall reliefs, painted with religious scenes and inscriptions. Nowadays the reliefs show considerable damage, particularly due to salt weathering processes. In particular, the wall reliefs show salt crystallization at varying levels, in and between grains, and within the cement materials. The change in temperature and relative humidity in the studied area play an important role in the salts crystallization and hydration causing several deterioration features such as cracks, powdering, paint and plaster detachment, flaking, discoloration and iron oxides stains. Several samples were examined by polarizing microscopy (PLM), X-ray diffraction analysis (XRD) and scanning electron microscopy equipped with an energy dispersive X-ray analysis system (SEM-EDX). The results reveal that the damage in wall paintings are mainly attributed to the effect of different salts such as gypsum (CaSO4•2H2O), anhydrite (CaSO4), halite (NaCl), mirabilite (Na2SO4.10H2O) and sylvite (KCl). These results allowed the identification of the types of salts and deterioration features, information that may be used in the future for conservation purposes. Rough and ready translation: This year's season of the Catalan mission at Oxyrhynchus has ended with the unexpected discovery of about 1200 fish buried in the necropolis. All were deposited at the same time and the archaeologists are discussing what may lie beneath them, hypothesising that they were perhaps deposited as a grave offering, with the burial beneath the fish. It is not yet know which specie the fish is, although the team think that it would by nice if they were Oxyrhynchus , the specie after which the city was named. The dating of the fish is also to be resolved, as they were found at levels below the Roman layers. Other finds by the team include both a complete funerary statue of a meter high and the head of a statue, both women, probably Roman. A major discovery at the site was monumental way (flanked with porches, columns with impressive Corinthian captials and architraves, probably made of Aswan granite) running through the cemetery as far as the Osireion, an underground temple dedicated to the god Osiris. It matches up with a street shown in aerial photographs and may be Ptolemaic in date. The first building along this route is now being excavated, probably a temple that later became Christan. Finally, fragments of a Roman mosic was found in the same area. La misión catalana que trabaja en la antigua ciudad de Oxirrinco ha finalizado la campaña de excavación con una inesperada sorpresa: el hallazgo de unos 1.200 peces enterrados en la necrópolis. “Nunca habíamos visto nada parecido, pensamos que se trata de un ritual”, explica Josep Padró, director de la misión liderada por egiptólogos de la Universitat de Barcelona. Todos fueron depositados en el mismo momento “formando capas entre estores vegetales”, precisa la arqueóloga Maite Mascort. El equipo ha extraído miles de espinas de estos peces y ahora está trabajando en determinar de qué especie se trata. The Ministry of State for Antiquities (MSA) has called on Alexandria governorate and all relevant authorities to stop immediately digging works in the vicinity of the Greco-Roman Museum. A collection of authentic pots have been uncovered during digging linked to an Alexandria governorate development project. The area is located midway between the museum and the governorate building. The Antiquities Ministry requested that drilling next to Alexandria’s Greco-Roman museum be stopped. Construction is taking place on a governorate building project next to the museum. The request came after the discovery of antiquities like pottery and stones which could reveal an area of archaeological value under the construction site. The ministry said in a statement that excavations should be done on the site according to the antiquities law. Antiquities Minister Mohamed Ibrahim Ali said archaeologists noticed the antiquities on the site and informed the archaeological monitoring department, which formed a committee to examine the area. In its report, the committee said that the broken pottery and other objects were found among the rubble that resulted from the drilling. The saga of the 80 objects began in April 2010 when the customs unit at Brussels airport caught an Egyptian woman red-handed as she tried to smuggle 80 small genuine objects. She had concealed them inside two large wooden replica statues and shipped them to the Belgian capital. Belgian police confiscated the artefacts and called the Brussels National Museum to check their authenticity. Once the items were proved to be genuine ancient Egyptian items, the museum took the routine measure of sending the case to the Brussels court. With the collaboration of the Egyptian Embassy in Brussels Egypt was able to prove its ownership of the confiscated collection and won a court ruling to have them restituted. The director of the returned antiquities section at the Ministry of State for Antiquities (MSA), Osama El-Nahhas, said the objects would return to Egypt within days. They include 11 small wooden and limestone statuettes, 11 amulets and 27 scarabs from the ancient Egyptian era; Islamic cylindrical seals; a Coptic child's robe and a small decorated piece of textile; a lion-shaped Ptolemaic pot and a prehistoric clay pot. Thanks to Mark Vygus for letting me know that the newest version of his hieroglyph dictionary is now available on the above page, with another 120 pages since the last update providing a total of 40,000 entries. The Dictionary is 2267 pages long. Obviously David Lightbody's CRE paper has now been presented. You will find an update on his site, at the above address, about the Old Kingdom text that he mentions in his introduction, below. Using papyri to reconstruct the lives of ancient Egyptian women via @chelseadickenson on SoundCloud - Create, record and share your sounds for free. It seems that there is no foreseeable resolution to the long conflict between Germany and Egypt over ownership of the 3,400-year-old bust of Queen Nefertiti, wife of the monotheistic pharaoh Akhenaten. Now, a century after its discovery, the dispute over ownership is stepping from one level to another, and with no concrete solution in sight it has become one of the best-known international cases of stolen antiquities that Egypt wants back. The magnificent painted stucco and limestone bust of Nefertiti was discovered in 1912 by an archaeological team led by German Egyptologist Ludwig Borchardt and sponsored by the German Oriental Society (DOG), the treasurer of which was the German Jewish wholesale merchant James Simon. The bust was unearthed while the German team was excavating the workshop of the ancient Egyptian court sculptor Tuthmosis in Akhenaten's capital city of Al-Amarna. A touring exhibition of Bolton Museum’s Egyptology collection has attracted its one millionth visitor in the Far East. The exhibition — Quest For Immortality: The Bolton Museum Collection — is currently in Kaohsiung, Taiwan, and will move to Shanghai, in China, in May. A council spokesman said: “To have reached the one millionth visitor in a country which has 23 million inhabitants is quite something in itself and is a benchmark that very few exhibitions meet. “To date, the Quest for Immortality exhibition has been exceptionally successful and to think that a million people have seen the artefacts from Bolton Museum is pretty outstanding and something we are very proud of. Well it's not news, but it did provoke a wry smile. So nicely written. There is a legend that when every object in a collection has been given a unique accession number, its curators will be freed of the shackles of performance indicators and documentation plans and finally achieve a state of nirvana. There’s lots of self-help guidance out there, of course (deep breathing exercises optional) to help us achieve this goal, including information on how and when to number objects. The sensible way, according to the Collections Link’s subject factsheet, is to give objects a running number, or, if you must, a number representing the accession year and then a running number. So surely that’s what everybody does, right? Wrong! The reality behind the ideal is that many collections were assembled a long time ago when standards were – how shall I put it? – somewhat looser than they are today. Curators have therefore inherited all sorts of interesting, not to mention inpenetrable, inconsistent and sometimes downright unworkable systems. All of which are usually exacerbated by the fact that these older systems were rarely documented properly. So even figuring out how they are supposed to work can be a challenge in itself. The Institute of Archaeology Collections at UCL are no exception. One of only a few women who ruled ancient Egypt as a king during its thousands of years of history, Tausret was the last pharaoh of the 19th dynasty (c. 1200 BCE), the last ruling descendent of Ramesses the Great, and one of only two female monarchs buried in Egypt's renowned Valley of the Kings. Though mentioned even in Homer as the pharaoh of Egypt who interacted with Helen at the time of the Trojan War, she has long remained a figure shrouded in mystery, hardly known even by many Egyptologists. Nevertheless, recent archaeological discoveries have illuminated Tausret's importance, her accomplishments, and the extent of her influence. Tausret: Forgotten Queen and Pharaoh of Egypt combines distinguished scholars whose research and excavations have increased our understanding of the life and reign of this great woman. This lavishly illustrated book utilizes recent discoveries to correctly position Tausret alongside famous ruling queens such as Hatshepsut and Cleopatra, figures who have long dominated our view of the female monarchs of ancient Egypt. Tausret brings together archaeological, historical, women's studies, and other approaches to provide a scholarly yet accessible volume that will be an important contribution to the literature of Egyptology -- and one with appeal to both scholars and anyone with an interest in ancient Egypt culture. Legitimate Robberies by Ashraf El-Ashmawi. Egyptian Lebanese Publishing House. Judge at the appeal court, legal expert and author Ashraf El-Ashmawi has written a welcome new book, Legitimate Robberies, giving a detailed and crucial account of the illicit trade in Egypt's antiquities over the last 200 years. The book is published this week by Egyptian Lebanese Publishing House. Ashmawi has a thorough knowledge of the subject, having spent more than seven years as the legal consultant of the Supreme Council of Antiquities (SCA), now the Ministry of State for Antiquities. From this legal standpoint, Ashmawi witnessed and shared in the restitution of almost 5,000 artefacts that had been illegally looted and smuggled out of the country. Legitimate Robberies reveals the mysteries behind several antiquities thefts that took place after the end of the French Expedition to Egypt in 1802 up until today. Ashmawi also monitors certain social phenomena related to the theft of antiquities over the last 200 years through collating public viewpoints and official rules and regulations. The author reveals that some people do not regard the appropriation of antiquities is illegal, claiming the government does not provide them with an appropriate and basic standard of life. This and similar attitudes stem from low awareness of their cultural heritage, and perhaps partly from poverty. Eva Mira Grob, Documentary Arabic Private and Business Letters on Papyrus: Form and Function, Content and Context. Archiv für Papyrusforschung und verwandte Gebiete, Beiheft 29. Berlin; New York: De Gruyter, 2010. Pp. xix, 269. ISBN 9783110247046. $140.00. This doctoral dissertation, the first comprehensive work on Arabic private and business letters on papyri (with the exception of the Qurra ibn Sharik archive) appeared shortly after its defense at the University of Zurich. Under the able supervision of Professor Andreas Kaplony, Eva Mira Grob has produced a major work of research. Grob has also been active as one of the contributors to the Arabic Papyrology Database (APD), conceived in 2002 and currently giving access to some 2,500 documents. This dissertation is therefore both personal research on early Arabic epistolary materials and a companion to the APD. Scholars from a variety of horizons — historians, linguists, Arabists, paleographers and codicologists — will find here plenty of food for thought. For paleographers and codicologists, Grob’s dissertation will prove to be a milestone in the footsteps of Geoffrey Khan’s scrupulous analysis of papyri scripts. Egyptian papyri have long been a valuable source for historians: commercial practices, lists of goods, private orders by all actors of society can be followed from Ancient Egypt to the Byzantine and Muslim periods. A woman in Ancient Egypt spent a lot of time with a broom in her hand because it’s a country with a lot of sand. Constant sweeping wasn’t the worst of it, though, because the ubiquity of sand meant she probably had rotten teeth, too. Not only did sand get into food, but the Egyptians also added a little as an abrasive to help the process of grinding grain for flour to make bread. The grit in the bread cut people’s gums, causing gum disease and eventually tooth decay and loss, so most people had bad or missing teeth. This is one of the many unexpected details in Barbara Watterson’s survey of Ancient Egyptian women’s lives from contemporary inscriptions and papyrus writings. Teeth apart though, Egyptian women in the 3,000 years leading up to the birth of Christ are revealed to have enjoyed higher status and better lives than many of their counterparts in the ancient world. We describe an interactive installation implemented in a museum context. The prototype is based on skeleton tracking, through Kinect camera, the application was developed with Zigfu Development Kit and Unity 3D, using 3D virtual objects from the Petrie Museum of Egyptian Archaeology collection at UCL, presented in AR. The aim is to engage regular museum visitors with the museum objects through enabling various types of embodied and performative experiences. We describe the installation including the technology, software, and sensors and discuss briefly the social and social context necessary for supporting prototyping and design activities. of a different set of aesthetic values. Inspectors of the Israel Antiquities Authority recently seized two covers of Egyptian sarcophagi that contained ancient mummies in the past. The covers were confiscated by inspectors of the Unit for the Prevention of Antiquities Robbery while checking shops in the market place of the Old City in Jerusalem. The ancient covers, which are made of wood and coated with a layer of plaster, are adorned with breathtaking decorations and paintings of ancient Egyptian hieroglyphics. The coffins were taken for examination on the suspicion they might be stolen property. After undergoing examination by experts, which included among other things a Carbon 14 analysis for the purpose of dating the wood, it was unequivocally determined that these items are authentic and thousands of years old: one of the covers is dated to the period between the 10th and 8th centuries BCE (Iron Age) and the other to between the 16th and 14th centuries BCE (Late Bronze Age). Because these are rare artifacts made of organic material, they are being held for the time being in custody, under climate-control conditions, in the laboratories of the Israel Antiquities Authority in Jerusalem. Wooden sarcophagi of this kind have only been found in Egypt so far, and were preserved thanks to the dry desert climate that prevails there. It is suspected that Egyptian antiquities robbers plundered ancient tombs in the region of the Western Desert in Egypt, and afterwards unknown persons smuggled the wooden covers from Egypt to Dubai, and from there they found their way to Israel by way of a third country in Europe.